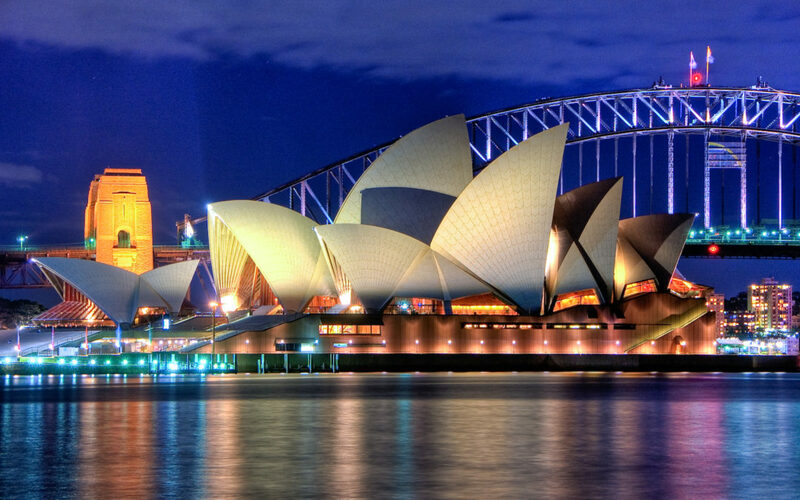 The 29th Australian International Music Festival took place in Sydney between 1st and 8th July 2018. 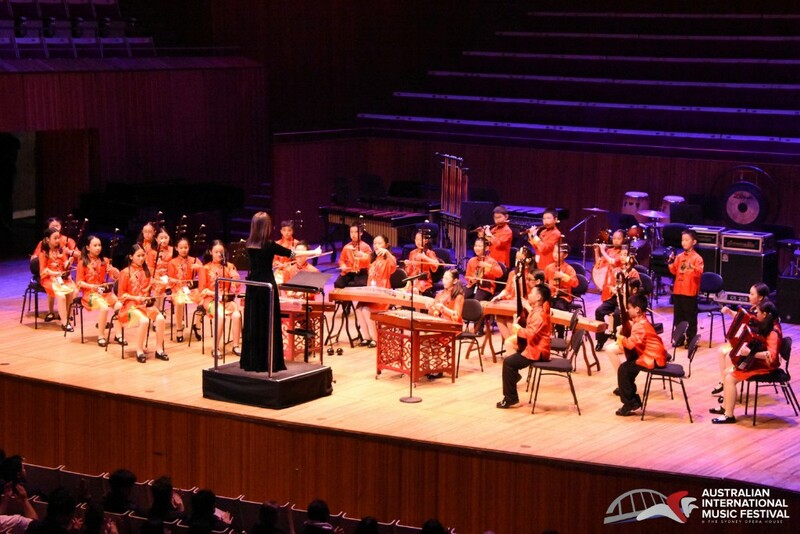 We welcomed over 1,000 young musicians, singers and dancers in 30 ensembles from all over Australia and around the globe including New Zealand, Taiwan, China, Hong Kong, the USA and the Czech Republic, with a wealth of award-winning talent in their company. There were three concerts at the Sydney Opera House, as well as performances at Angel Place, Town Hall, Verbrugghen Hall, the Maritime Museum at Darling Harbour and St James’ Church. Attendees also participated in numerous workshops and masterclasses at the Conservatorium of Music with world-class clinicians, as well as cultural exchanges with other bands. In between the music there was also time for fun and sightseeing with harbour cruises, visits to Taronga Zoo, and trips to the beach. 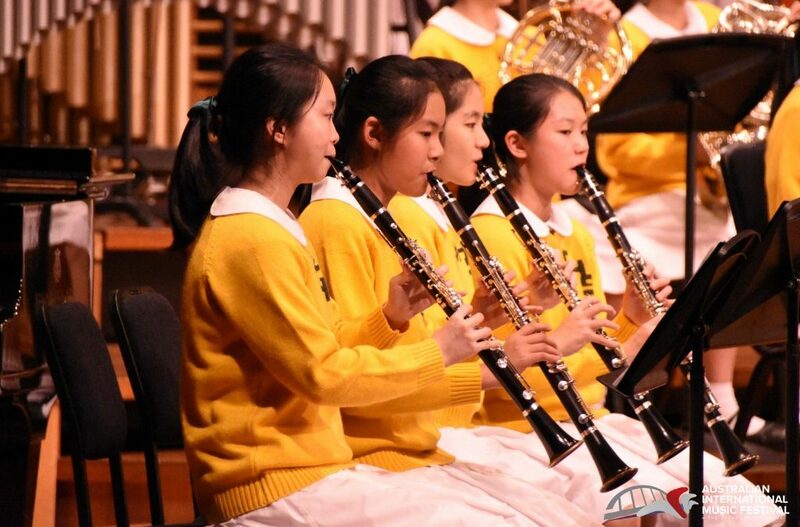 It was standing room only at Sydney Town Hall as Glen Waverley Secondary College Wind Ensemble from Victoria, the Czech Children’s Choir “JITRO 10”, and Good Hope School Symphony Orchestra from Hong Kong were chosen to perform for their fellow participants. In addition, the Mass Choir comprising 8 participating choirs and over 400 voices and conducted by Colin Touchin, sang Fantasia on Australian Folk Tunes, specially commissioned for the Festival and composed by Dr Ralph Hultgren in 2017, as well as Zadoc The Priest and Hallelujah Chorus. All this, along with a special performance from the Northern Sydney Symphonic Wind Ensemble, and the ever-popular after-party, made it a night to remember! The dates for next year’s AIMF are 4th to 11th July, 2019, when we will be celebrating the 30th anniversary of Australia’s most prestigious music festival. Not only that, but it will be your last chance to perform at the iconic Sydney Opera House before it closes its doors for 18 months while it undergoes extensive renovations. World Projects South Pacific is thrilled to announce the 30 th Australian International Music Festival. Registrations are now open for the 30 th Australian International Music Festival, to be held 4-11 th July 2019. Welcoming applications from all ensemble types including Wind Bands, Orchestras, Choirs and Jazz Bands. Experience the exhilaration of performing at the Sydney Opera House before it closes its doors for 1-2 years for extensive renovations.